The new Centre for Stem Cells and Regenerative Medicine at Guy’s Hospital is directed by Professor Fiona Watt and has recently been refurbished at a cost of over £8m. The Centre brings together cutting-edge stem cell research currently taking place across King’s College London and its partner NHS trusts, as part of King’s Health Partners. Through the Centre, King’s aims to drive collaboration between scientists and clinicians to translate the potential of stem cells into clinical reality for patients. Professor Fiona Watt’s major research interest is the role of stem cells in adult tissue maintenance. Many of the studies in Fiona’s lab use mammalian epidermis as a model system, both in the context of genetically modified mice and epidermal reconstitution in culture. Current projects are exploring self-renewal and lineage selection by human and mouse epidermal stem cells, the role of stem cells in epidermal and oral tumour formation, and the nature of mesenchymal cells in skin. Fiona’s lab has active collaborations with bioengineers and chemists in order to study stem cell–niche interactions in vitro. Dr Davide Danovi is the director of the Human Induced Pluripotent Stem Cells Initiative (HipSci) Phenotyping Programme. The Wellcome Trust and Medical Research Council (MRC) fund this programme. 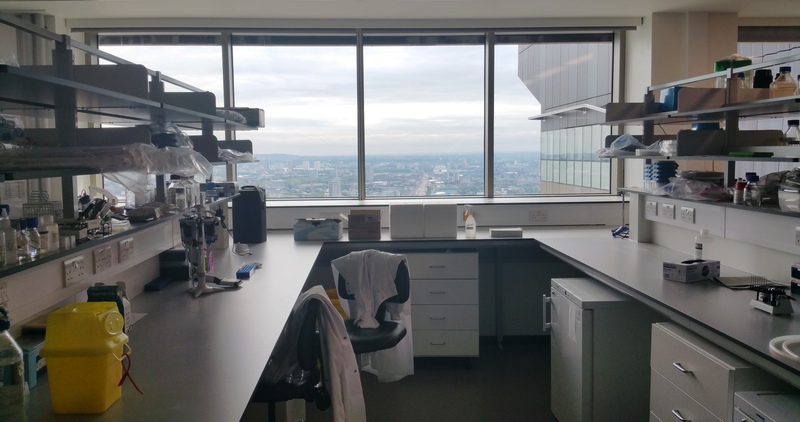 Davide’s lab provides dedicated laboratory space for collaborative cell phenotyping to study how intrinsic and extrinsic signals impact on human cells. This facilitates the development of assays for disease modelling and drug discovery, which will ultimately lead to the identification of new disease mechanisms. Dr Ryan Driskell’s research focuses on the understanding the role of fibroblast heterogeneity in tissue morphogenesis and repair. Fibroblasts are a specialised cell type that synthesise the structural scaffold (extracellular matrix or ECM) of most organs. Ryan’s lab uses skin as a model to provide an experimental platform to study how these specialised cells influence the construction and repair of an organ. The basic discoveries from Ryan’s lab have broad implications on diseases such as scarring, fibrosis, and cancer. Dr Shukry Habib is interested in the external and internal cues that regulate mammalian stem cell division and cell fate choice. His lab aims to study and compare these cues during homeostasis, tissue regeneration and tumorigenesis. A main focus of his lab lies on the role of Wnt signals in asymmetric cell division of embryonic and adult stem cells. To that end, his lab applies principles from organic chemistry, biochemistry, and stem cell biology in conjunction with advanced imaging techniques to further probe this biological phenomenon. Dr Ignacio Sancho-Martinez’s lab focuses on understanding the molecular mechanisms underlying nuclear reprogramming and cell fate with the ultimate goal of defining reliable and safe strategies for the future of regenerative medicine. Ignacio’s lab is interested in the spatio-temporal interaction of signals defining cell fate and facilitating the generation of functional and mature cell lineages for cell transplantation and disease modelling. To this end, his lab relies on the use of in vitro strategies mimicking human development as well as the establishment of novel reprogramming strategies bypassing the use of pluripotent cells. In addition, Ignacio’s lab has a major interest in the experimental activation of organ regeneration in higher vertebrates. Dr Ivo Lieberam focuses on how pluripotent stem cell technology can be harnessed to understand the function and dysfunction of neural circuits which control motor behaviour, and how stem cell-derived tissue can be used to regenerate neuromuscular circuits in adult mammalian animal models and, ultimately, in human patients. To this end, his group embarks on projects aimed at i) assembling neuromuscular circuits from stem cell-derived, defined cell populations to study normal development and degenerative disease processes in vitro and ii) restoring muscle function affected by neuromuscular disease with a new type of stem cell-based optogenetic pacemaker device. Content relating to the features of the Centre and the different research groups will be published on RegMedNet throughout the month of November, leading up to the official launch of the Centre.